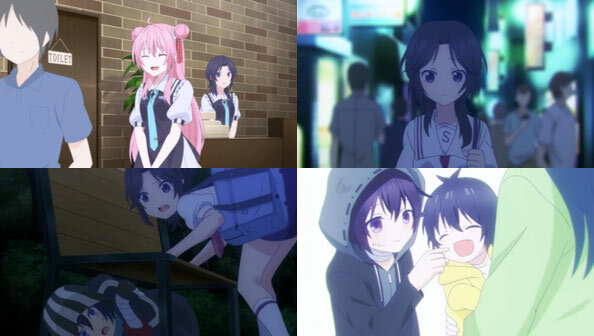 Shouko, who is consistently the most normal of characters in this show full of loons, encounters Asahi, and she isn’t one to just keep walking. At her heart she’s a “good girl”, even as she once made a habit of staying out late at night to fool around with men. She’s also good enough friends with Satou that she knows when she’s hiding something. She’s just not ready to believe Taiyo’s accusations. 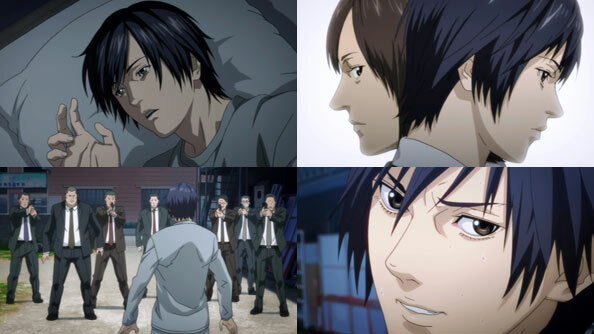 Meanwhile, Satou tries to hem in Taiyo from further interference by offering to let him meet Shio, while the masochistic teacher is dedicated to finding proof Satou murdered her aunt. 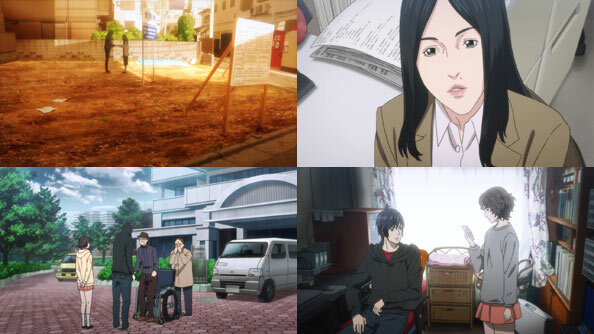 Satou’s far-too-together demeanor at work continuies to elicit suspicion in Shoko, who walks the same shopping district she and Satou used to hang out looking for guys. 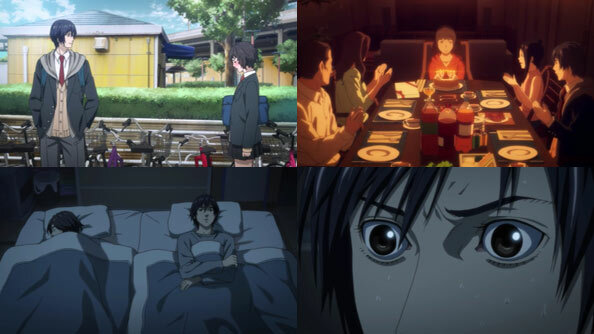 Only this time, she goes to the park to find Asahi sleeping under a bench, and gives him more food. She has no ulterior motives, she has no hidden neurosis; she’s just helping someone in need. 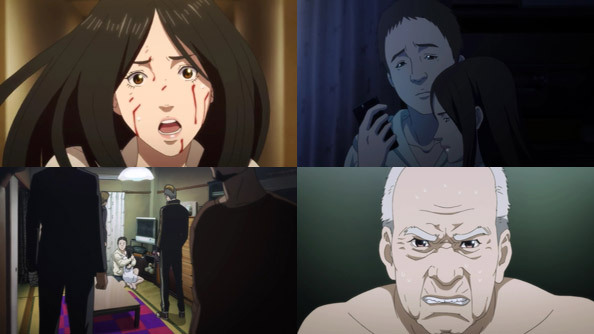 She wants to know how Asahi got into this state, and he tells her the story of how his mother and Shio escaped the house where her drunk husband was beating her. Asahi stayed behind so “the devil” wouldn’t go looking for his mom and Chio. 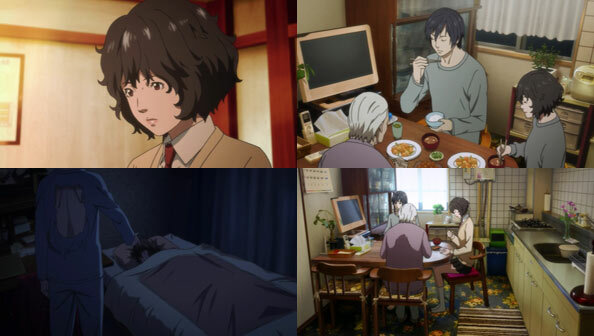 Staying meant enduring beatings and KGB-style fingernail torture, but Asahi it was worth it; he’d take the abuse so Mom and Chio could be safe and free. 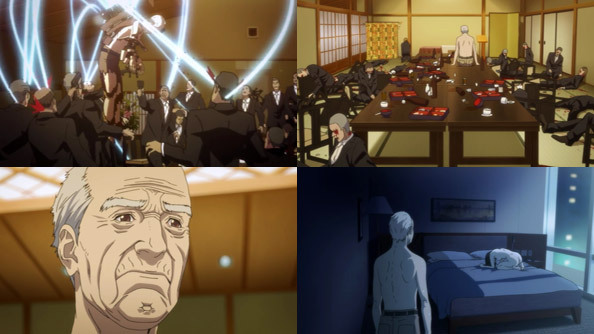 He had his moments of despair, but ultimately endured until his father drank himself to death. 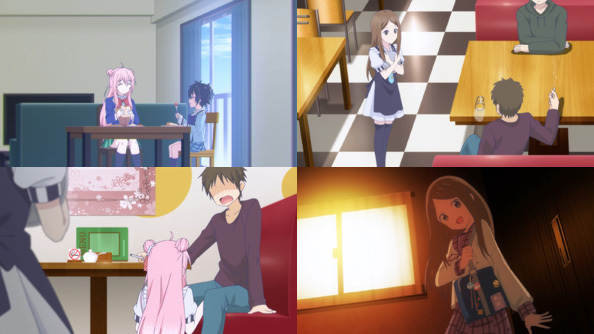 Shouko scores a day out with Satou, their first time hanging out as friends in a good long time. 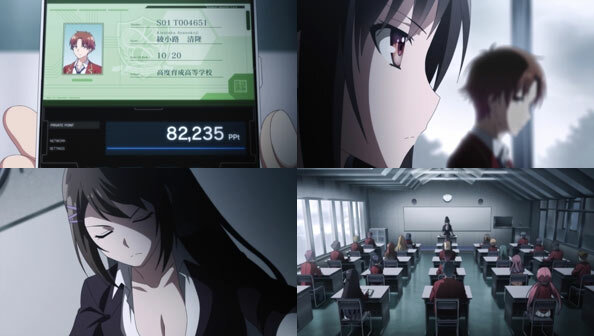 They have a lot of fun, but Shouko has a mission in mind: she wants to know the truth. 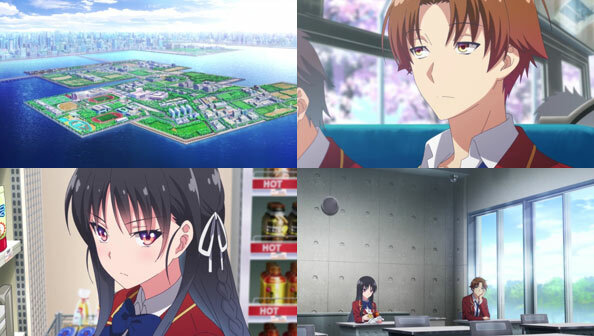 Satou is initially totally unwilling to tell her, since it’s something she doesn’t want a good girl like Shouko getting mixed up in. 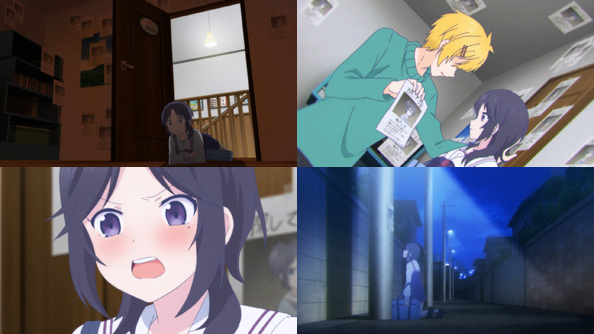 Shouko forces the issue by telling Satou that she wants nothing else but to know what she’s involved in, because she loves her friend more than anyone else. 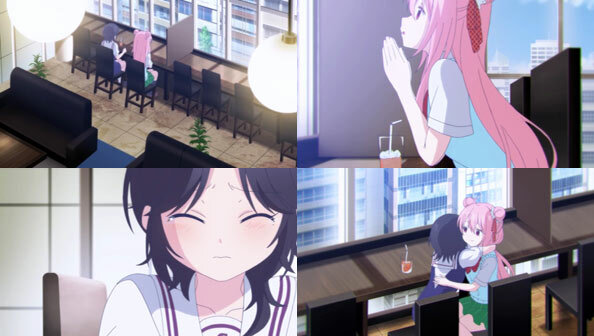 These words seem to move Satou, and she invites Shouko to come to her house to learn what secret she’s been hiding with a non-existent boyfriend. Even so, I’m not convinced Satou is capable of trusting Shouko with all of the dark things she’s done that even she herself has compartmentalized. Then again, I find it hard to believe Satou would do anything to Shouko in the presence of Shio—which calls to mind how exactly Shio’s kidnapping went down. 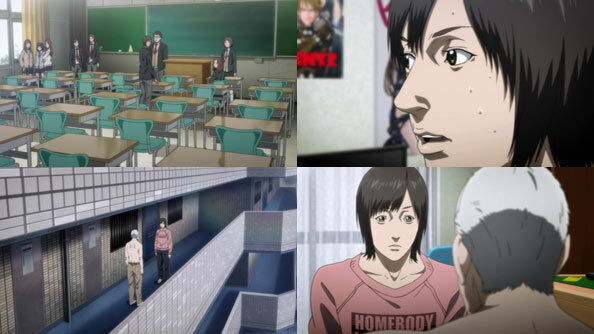 More concerning is the fact the masochistic teacher is tailing Satou. I can’t see any of this ending well. Following his thorough intimidation of the Lizardmen, Lord Ains and his guardians travel to his newly-built forest stronghold. He learns it comes with a super-creepy throne made partially from human bones, and decides he’ll finally dole out Shalltear’s punishment by sitting on her. Shalltear turning the intended pain into naughty pleasure, combined with Albedo’s violently jealous outburst in the next room, are both examples of OverLord silliness at its best. Things get even sillier when Ains uses a spell to see inside one of the village’s huts, only to catch Zaryusu and Crusch doing the nasty. The Lizardmen elders and warriors, including Zaryusu, make their one last desperate stand against Cocytus, and are (figuratively) disarmed by his polite and respectful demeanor before being disarmed (literally), halved, and riddled with icy projectiles. The comedy shifts from the silly to black, as Cocytus calmly, quietly explains how not a single one of his opponents’ magical or physical attacks will have the slightest effect on him; they’re simply too low a level to put a dent in his Guardian-class defenses. That doesn’t stop Zaryusu & Co. from charging forward, even if it’s right into their grisly deaths. Zaryusu is the last to be killed, but Cocytus promises he’ll remember his name and that of his brothers as the names of warriors. Back at base, Cocytus is praised for his victory by Lord Ains, and suggests the bodies of the dead Lizardmen be used for undead research. Cocytus makes a counter-proposal: raise Zaryusu, who had been such a valiant fighter, from the dead. 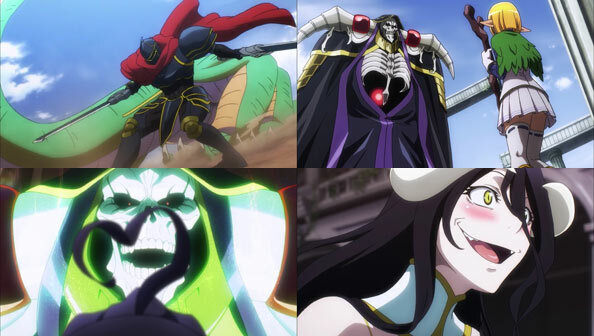 Crusch agrees, and Zaryusu is brought back to life, and yet even here OverLord doesn’t shy away from having a bit of a laugh; Zaryusu’s speech is all high-pitched and messed-up, like he didn’t quite come back 100% right (rest will apparently restore his former gravitas). 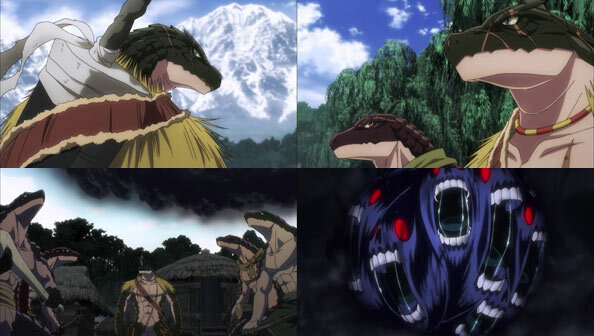 But Ains got what he wanted: the allegiance of the Lizardmen tribes, and a mole who will alert him if that allegiance ever wavers, secured by a “spell” (in reality just a lie) that will kill Zaryusu if Crusch ever betrays him. All in all, some shrewd maneuvering by His Skullfaceiness. 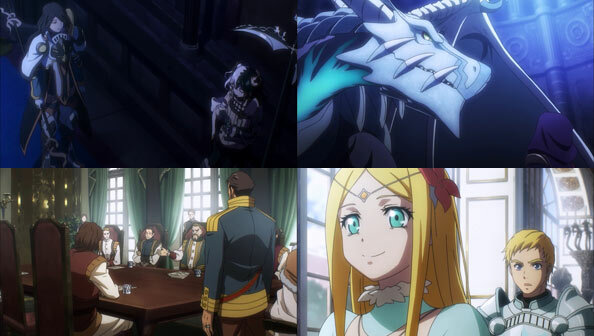 It’s been over two years—833 days—since I last watched or wrote about Overlord, so an immersive episode packed with exposition wasn’t the worst way to be introduced back into its world. 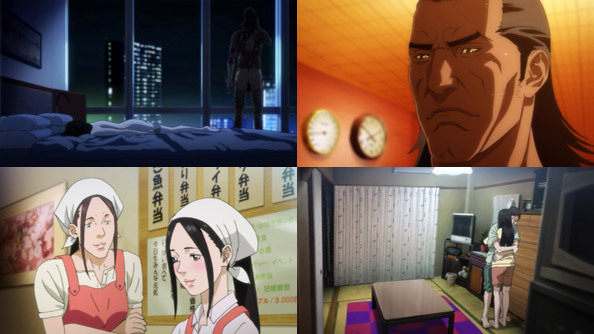 In a lengthy eight-minute cold open, we meet a good number of parties I either have fuzzy memories about or don’t know at all (I haven’t read the light novels). 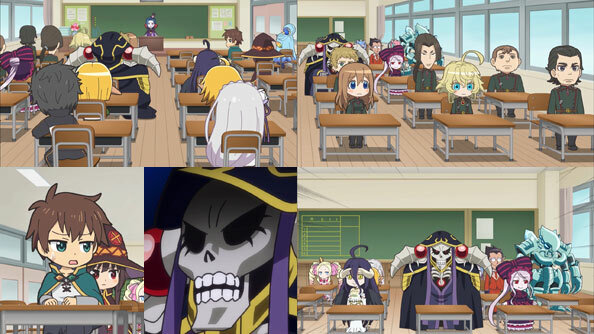 But the bottom line is, many of these parties spread far and wide throughout the world know of Ainz Ooal Gown, which is precisely how Momonga wanted. When we finally meet up with the big dude, he’s in Momon Mode, taking out a giant lizard with help from Hamasuke; Nabu by his side. It’s not a tough opponent at all, more of a warm-up, like this episode. From there, he returns to the Tomb of Nazarick where Albedo is waiting for him, as eager as ever for praise and, well, more physical contact than Momonga’s player is able to consent to (seeing Alby and the other NPCs more as children). Still, Flustered Skullface is always welcome. 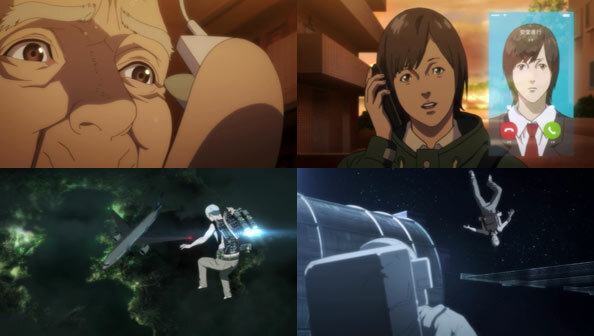 Momonga then has a seat, unfurls a big map, and methodically points at each destination, as Albedo gives a report on all the various projects his guardians are working on, from the building of a Fake Nazarick in the nearby great forest, to the status of the investigation to find the one who used a World Item on Shalltear, forcing her to fight her master. Shalltear is drowning her overwhelming guilt in drink, so Albedo suggests Momonga issue some form of punishment in order to exorcise that guilt, which he considers. He also sends Cocytus off to fight Nazarick’s “first war”, though the details on whom it’s against and where are not shared. There’s also a talking penguin with a very stern look on its face, which…cool, cool. The episode closes out with a visit to the land of Lizardmen; specifically, Zaryusu, a supposedly disgraced yet respected warrior, and the grizzled chief of his tribe, inspecting Z’s first-of-its-kind fish farm. Then inky black clouds coalesce and swirl above the village and a super-creepy ball of purple skeletal faces with red eyes announce it is a herald of the “Great One”, declaring death unto the lizards. 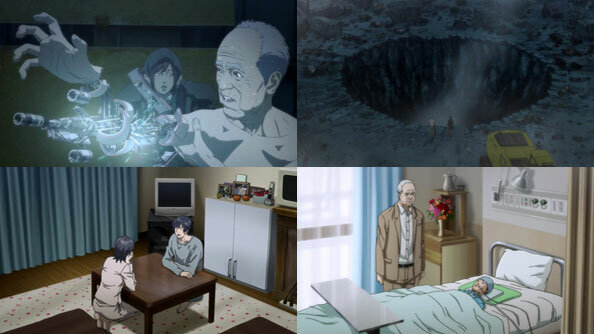 So yeah, was this episode a bit all over the place? Sure. But it was still fun. And after so much time, it was great to see the gang back in action (or planning future action) while meeting a few new faces. Lastly, after the credits, we have a nice little auspicious note from original creator Maruyama Kugane thanking the fans of Overlord for making a second season possible, and dedicating the season to us; a gesture I appreciated. 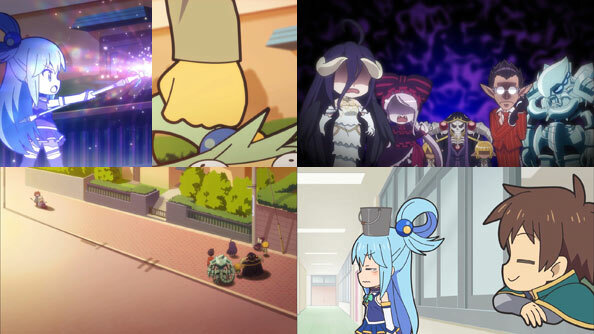 Well, let’s just get this out of the way: Kousei’s performance STINKS. He’s literally all over the shop; shifting wildly from the same old soulless human metronome, to banging on the piano like a child wailing in pain, to stopping completely. But none of that matters. This was still a HUGE leap forward for Kousei; life-changingly huge. And it all came down to Kaori. 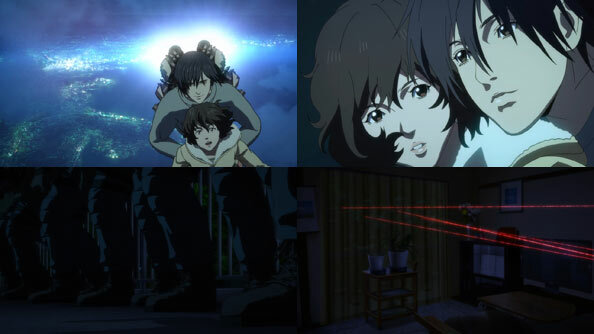 The ‘ghost’ of Kousei’s mom kept going on about his “punishment” for rejecting her and her dreams, but more than before, the cuts of her and the deep dark sea are interspersed with cuts of Kaori. She’s in his head more and more as the performance goes on, all but replacing Mom. He keeps his head up, looks at the lights as if they were the shining stars, and tries to finish the performance, even if he can’t be proud of it. It’s still a struggle, but after he stops, he again remembers Kaori turning around and saying “Again!” At this point he’s lost the audience completely and disqualified himself from the competition, but his pause in the music is a crucial ‘reboot’ of sorts for his psyche. 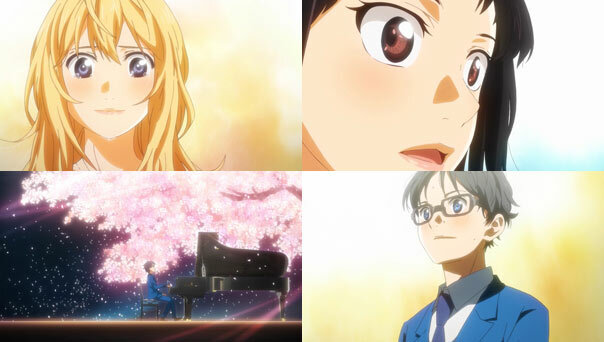 He fell, but he gets back up and gets back to the ivories, with Kaori constantly in his heart. Once he’s playing again, albeit very badly, it occurs to him that Kaori and only Kaori is the one he’s playing for; the only one he wants to reach, just as she reached him so powerfully, both through her performances, but also simply by being there for him, guiding him out of the dark. 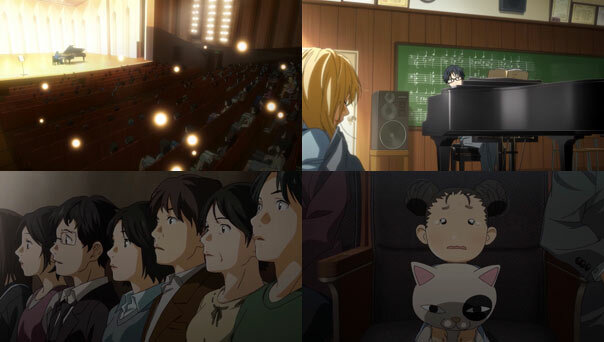 He starts to channel those emotions through the piano, and his notes ‘shimmer’ as he begins to project to the crowd the imagery of the practice room as Kaori softly dozes. Again, his playing changes. It’s not enough to make everyone forget the ugliness before, but it’s still plenty compelling, which is a lot to say for a pianist with a reputation for sticking to the sheet music. Everyone has this priceless “Huh? WTF is going on?” look on their faces, except for the few in the crowd who matter. 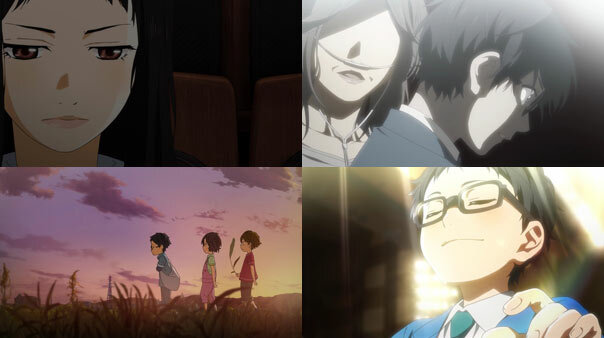 Now that he’s found something to replace the ragged gaping hole in his heart his mother left, Kousei can play with confidence and passion, although perhaps still too raw to make any headway with the judges. But again, that doesn’t matter: this was never about Kousei jumping right back into contention; that’s still a ways off. It was about breaking free, severing his puppet strings, and going his own way, for the sake of the girl he loves. 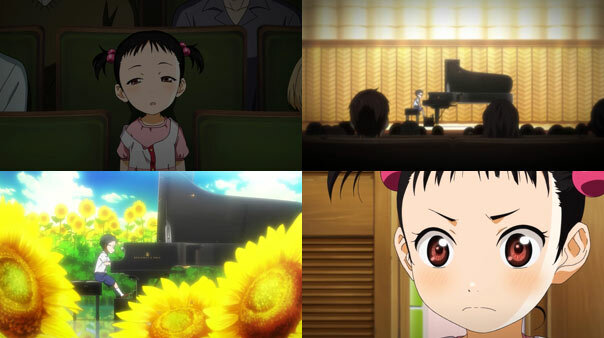 It would appear his music did in fact reach Kaori, who is moved to tears along with the little girl with the cat. Heck, even his Mom seems to be proud of him moving on in the end. After all, the villainess in Kousei’s mind was a ghost of his own making, forged from guilt and regret over how things with her. 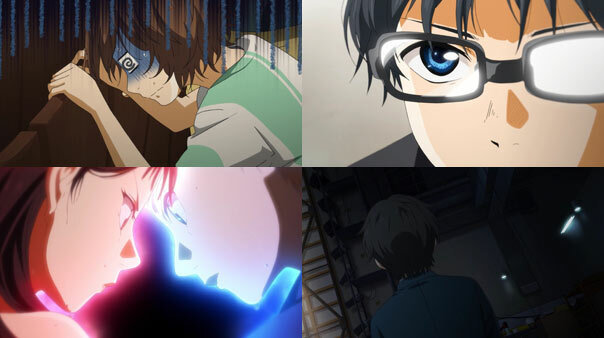 That ghost wasn’t something to be defeated, but rather transformed, as Kousei transformed himself this week. It doesn’t do justice to say he’s merely ‘back’; thanks to Kaori, he’s been reborn; better than ever. Births may be messy and harrowing, as his performance was, but both herald the start of something new, amazing, and full of possibilities. 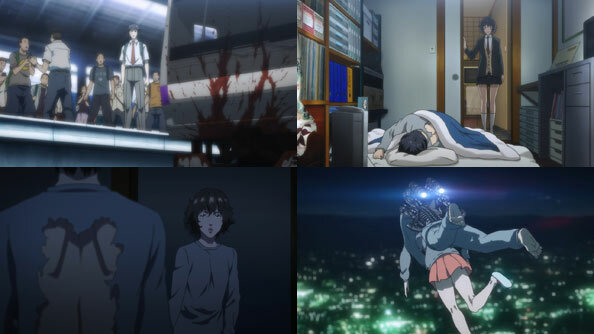 As long as Kaori remains alive. Let’s dig right in, shall we? First of all, I was not expecting the cold open return to the middle of Emi’s performance, and some of it was simply elaborating upon things that were already made clear last week. 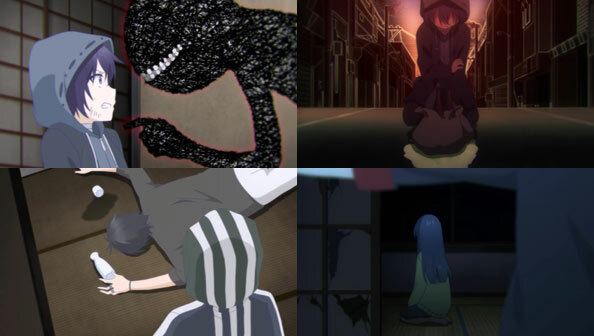 That being said, the extra attention paid to Emi, and in particular her childhood, provide a baseline with which to compare the very, erm…different childhood Kousei experienced. The modern arrangement of the Chopin matches her past self’s bright-eyed outlook nicely. More on that later. I do like how Emi storms off the stage, grabs Kousei by the scruff, and is on the cusp of saying…something important to him, but almost seems to chicken out and runs off to change, disappointing Takeshi. 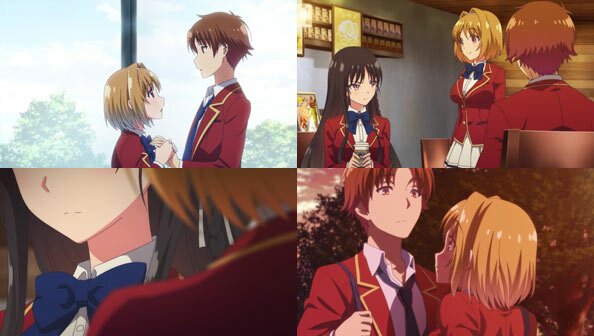 Still, her mission was accomplished; Kousei did hear her, and he was moved to the very core. Meanwhile…damn, Kaori takes a lot of drugs! 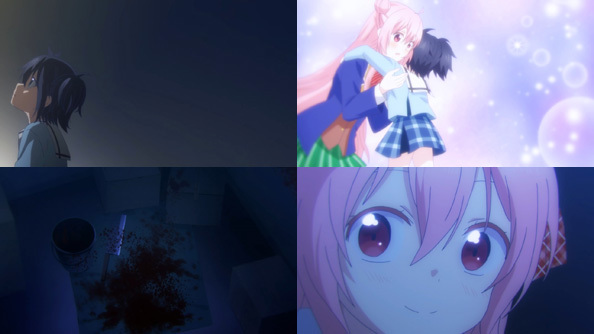 Did you put that scene in there to remind us she’s a very sick girl who’s going to die just when Kousei loves and needs her the most? Is the titular “lie” ultimately the lie that everything will turn out just fine? 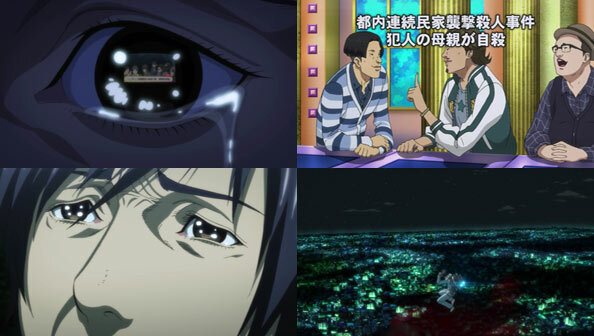 You’re a cruel show, Uso. 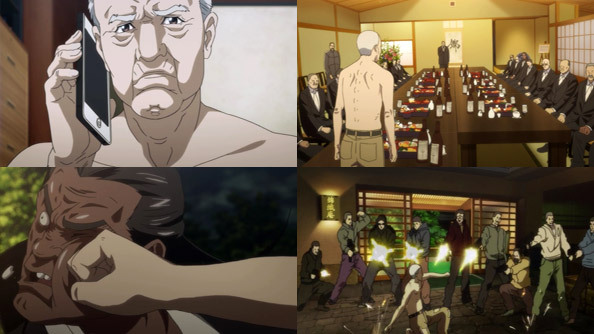 Cruel, perhaps, but also the king of building tension and anticipation to the point our stomachs hurt right along with Tsubaki. Takeshi and Emi may be disappointed in the relatively ‘simple’ Chopin piece Kousei will play (chosen at random by Kaori) but even they’re smacking their lips at the opportunity to see him play again for the first time in years. 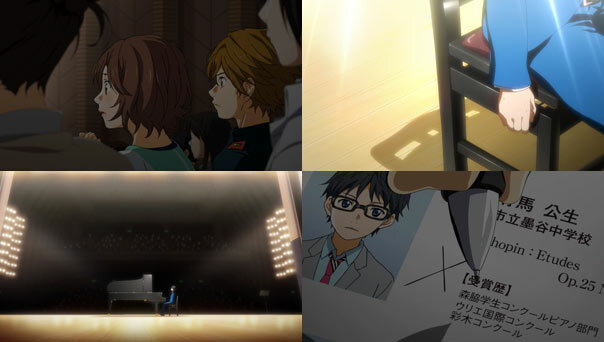 His slow walk to the stage is full of triumph, as Kousei’s heart and soul and musical will all seem to have been jump-started by the other performances. 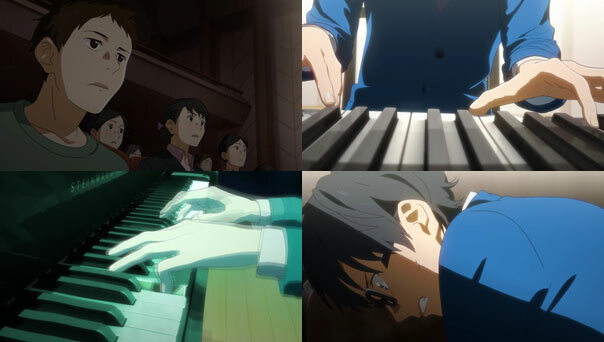 But those of you who thought this would be the day Kousei shook off all of his past trauma regarding the piano thanks to both his friends and admirers…well, you were probably disappointed, but tough noogies. Shame on you anyway; we’re not even halfway through the series; it’s way to early for Kousei to be getting over anything. 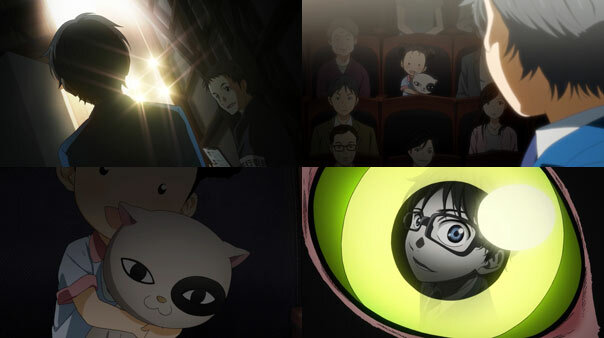 There’s an interesting symmetry that further supports why Emi’s story occupied the cold open: Emi was a little girl in the crowd who got extremely inspired by Kousei in the past. Kousei spots a little girl in the crowd and gets extremely rattled in the present. Nice! 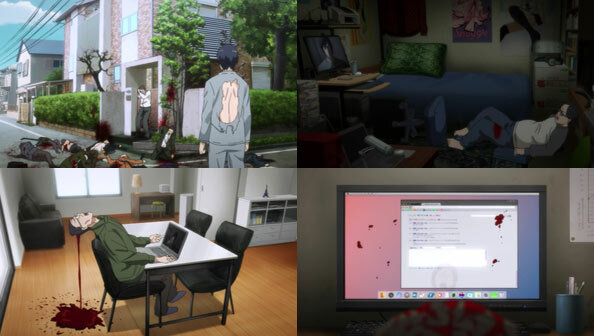 But long before Kousei saw the girl with the cat I knew Kousei was going to have a rough time this week. 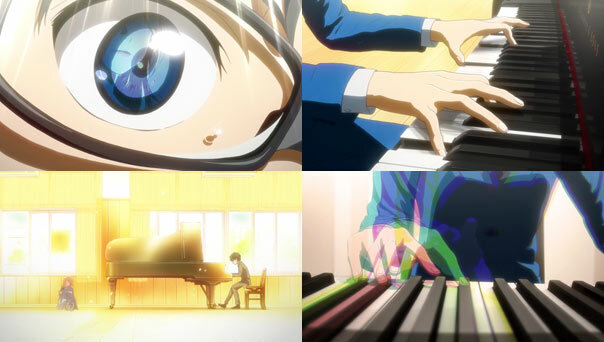 There’s no doubt that Takeshi, Emi and Kaori have moved him deeply, but in the blinding light of their awesomeness, he only temporarily forgot about the darkness lurking even deeper in his psyche that kept him away from the piano in the first place. 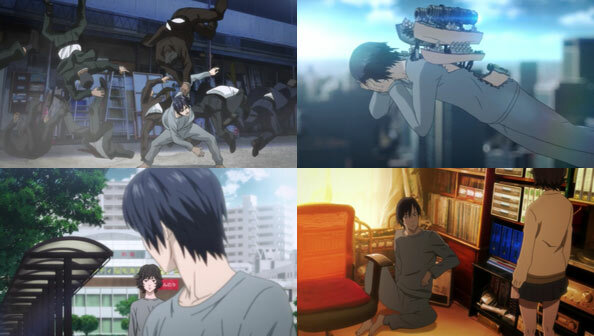 Far from a tale of how Kousei gets his groove back, this episode intercuts Kousei’s initially competent but emotionless performance with scenes of his past when he was abused by his ailing mother (note the same ridiculous pile of drugs Kaori had). 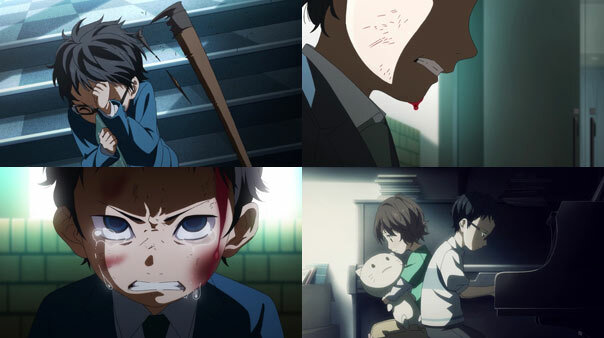 And let’s not beat around the bush here: Kousei was and remains a victim of brutal, unyielding physical and emotional child abuse, and his mother was a coward and a brute undeserving of such a loving, devoted son. Maybe she knew that herself, and so worked so intently on beating that love out of him. 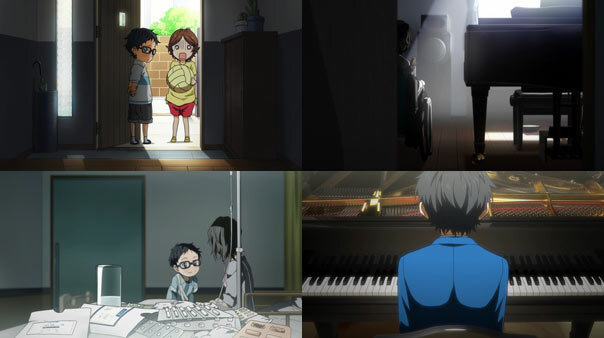 Takeshi and Emi’s stories of how they got so good at the piano were full of envy, resentment, and longing, but they had it way easier than poor Kousei. 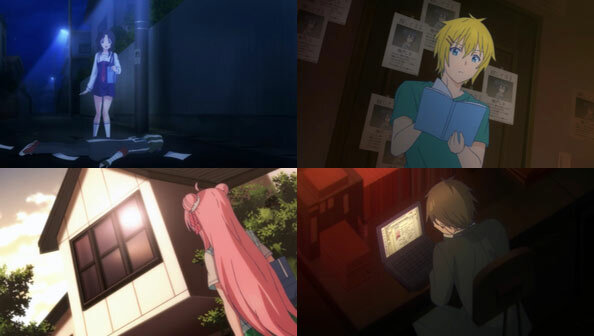 And they were embracing music as a means to better themselves (so they could stand on the same level as Kousei), while Kousei purely played to make his mother better, a notion borne from emotion, which his mom hated above all else. To her, emotion could only corrupt composer’s intended notes. The sheet music had to be followed precisely without the slightest error or embellishment. She finally succeeded in making Kousei snap. 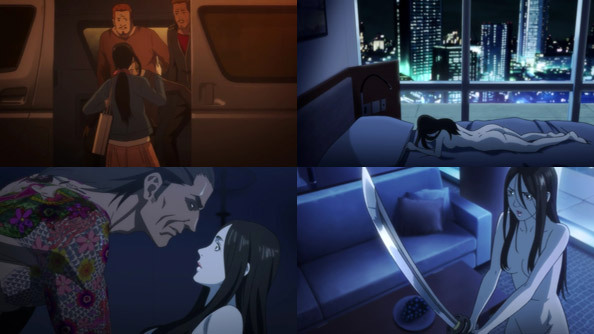 After a public performance she attended that he had been looking forward to making her happy with, she has nothing but scorn and cane blows for him, and he tells her to just die already. 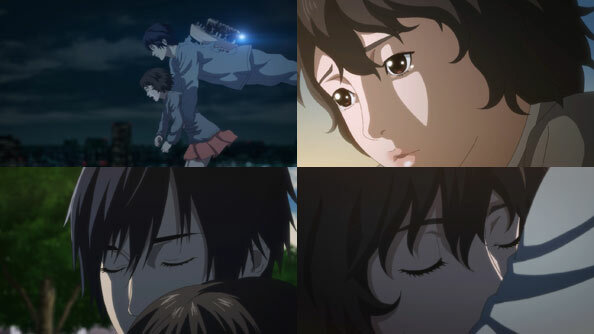 And so complete was her abuse, Kousei blamed himself and those words for her ultimate death shortly thereafter. Initially, he kept practicing like nothing was amiss, but one day his ‘punishment’ arrives in the form of his mother’s ghost, taking away his ability to hear the notes and plunging him into the sea. That is again where he finds himself during his attempted comeback. It’s all in his head; it’s all scar tissue built up by his awful mom, but as long as he blames himself for her death, as long a part of him believes he deserves this punishment, no amount of inspiring peer performances will help him recover what he’s lost. 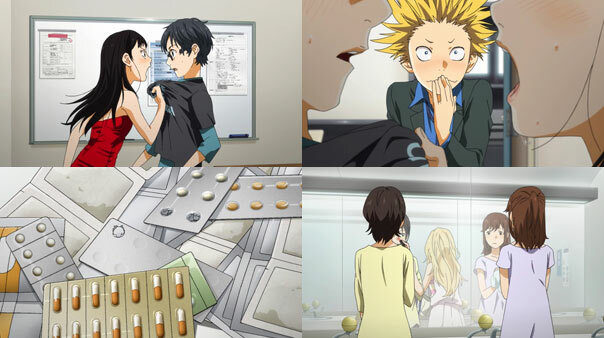 We saw both Kaori and his mother in possession of pharmaceutical galaxies, but it might be Kousei who’s most in need of medication…not to mention therapy.